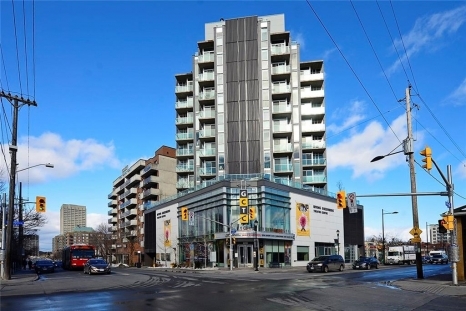 Beautifully upgraded, sun-filled south west facing corner unit. LEED Platinum certified green building in fabulous W Wellington. Open concept kitchen w/granite. Amazing built-ins in the master bedroom walk in closet. Spa-like ensuite soaker tub, plus a second full bathroom. Home office could be a second bedroom. Unobstructed views. Balcony. Parking. Living 1 15'3" x 11'10"
Dining Room 1 11'5" x 9'2"
Kitchen 1 10'4" x 8'5"
Master Bedroom 1 14' x 13'6"
Ensuite Bathroom 1 11'9" x 6'6"
Walk-in Closet 1 8'2" x 6'5"
Den 1 12' x 9'5"
Full Bath 1 8'3" x 7'7"
Laundry Room 1 7'5" x 6'6"